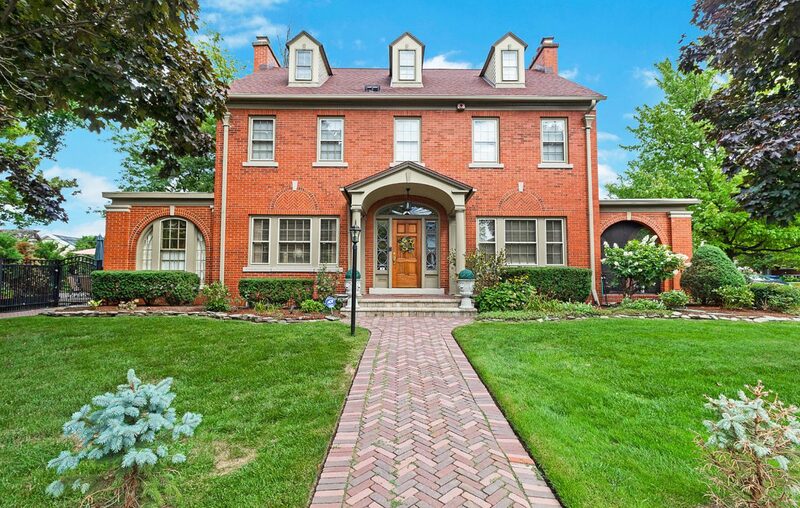 Realtor Susie Lenahan listed this classic five bedroom, three bath home at 435 Woodbridge Ave. in North Buffalo earlier this month at a price of $669,000. But is there truth to the hype that every single home transaction is a dramatic, cutthroat endeavor that results in big money for sellers? Not according to some of Western New York’s most seasoned real estate agents who specialize in the hot and up-and-coming areas. In East Aurora, the territory of Hunt Real Estate Agent and 30-year veteran Amy Mayfield, higher priced homes aren’t part of the madness, either. Then there are the stories about homes receiving dozens of offers, punctuated by the lengths buyers go to in order to win the sellers’ favor. Mayfield recounts the couple that sent the seller a sonogram image of their baby-to-be, while others cite lavish gifts to sellers and their agents, unannounced visits to plead their case, and impassioned letters in which the buyers outline why they’re the perfect pick. Agents say that while fruit baskets and stalker behavior to get homes do happen, they aren’t the norm. The “love letters” to sellers, as they were known, were recently banned by the Department of State because of their potential to lead to discrimination (the young, white, straight couple being favored over other buyers, often with better offers, by older sellers with traditional ideas, for instance, happened often). Matt Quagliano, a real estate agent with Keller Williams who has been representing sellers in North Buffalo for 28 years, says media hype is partially to blame for the assumption that all homes on the market become the center of an expensive bidding war. So which houses are causing the stir? Seasoned agents are seeing a lot of those move-in condition homes on the market now, too. There are a few different theories as to why this has happened more over the last decade, ranging from the HGTV effect (shows hosted by DIY celebrities who inspire people to do their own upgrades, and other shows that feature first-time home buyers with unrealistic budgets insisting on shopping for perfection), to lower interest rates on home equity loans for improvement. Following the housing crisis in 2008, when many contractors were left holding their hats, the lack of new builds in desirable areas means homeowners have no choice but to fix what’s already built. And according to Quagliano, people just spend their money differently now than they did generations ago. “The nuclear family has changed; it’s more common for people born in the 1980s to have one child or be childless, and two incomes mean more disposable income going into the houses. I started noticing this in late 1990s. I’ve seen some houses I’ve sold two, three, sometimes four times. In their early condition, the homeowner may have had five kids and sold the house with a lot of work needed. Then I saw people buy a $115,000 home and put same amount into it,” said Quagliano. “Now people are looking for move-in ready. None of that is instant; nothing exploded overnight. In addition to a home’s condition and price, the proximity to entertainment and amenities is also a defining characteristic shared by popular areas like North Buffalo, East Aurora, the Elmwood Village and the West Side. Mayfield has observed the same thing in the Southtowns, where she’s seen interest shift from Orchard Park to East Aurora and back to Orchard Park. That combination of low home inventory, high prices, and the desire to have food and fun within walking distance is what led to the resurgence of Buffalo’s West Side, says Rob Karp, a Keller Williams real estate agent and residential developer who specializes in the area. Sometimes the housing demand leads the way for businesses to follow, he says, and sometimes the commercial investment comes first. Karp sees new areas of Buffalo where business is paving the way, with the potential of residential interest to follow. He says Seneca Street in South Buffalo, Larkinville, and Niagara Street – where there are localized flurries of new builds, adaptive re-use, and restoration led by established local business leaders – could be the next potential hot spots. Mark Bookhagen, president of South Buffalo Realty Company and a native of the area, agrees that things are changing in the former industrial community. Established neighborhoods, houses people can still afford and things to do nearby are helping. Bookhagen says that in June 2005, the median home price in the Abbott Road/McKinley Parkway area was $55,000. In June 2018, the median price had risen to $119,000 for the same area. “When you tell people how much their home is worth, especially if it’s been in the family for generations, their ears perk up,” he says. Curbed, and countless others. There are millennial-driven trends around the return to urban living in the U.S. – with fewer cars in favor of walking/biking, less emphasis on ownership/material things and more on experiences, more frequent moves associated with more frequent job changes – that might be starting to apply here. Saccone says he’s even seeing more of Western New York’s huge 55+ population selling their suburban family homes and moving downtown, often competing with younger first-time buyers for the same affordable condos and homes in areas with things to do in their retirement. Given the shortage of houses and the surplus of interest, buyers have had to get smarter about their expectations, both in terms of home features and how long it might take to buy a house. Agents are also seeing buyers willing to rent longer and wait to get what they want when the market settles down. For those who have to buy now, the shoppers who are willing to give in a little – maybe forego the fireplace, or buy just inside Kenmore rather than North Buffalo – are the ones closing deals. Kaisertown, Lovejoy, Hamlin Park, the Fruit Belt, and other Buffalo neighborhoods nobody expected to draw attention are starting to get multiple offers. Saccone says these market conditions mean that real estate agents representing buyers have to be diligent about educating their clients about the realities and potential pitfalls of the road ahead. Still, as pricey as homes are getting in and around the Queen City, they’re nothing compared to average home prices in most other cities. The prevailing expectation, which is starting to show in home sale data, is that the residential real estate market will level out soon, mostly because mortgage interest rates will probably go up. Saccone also points out that wage stagnation and lack of job growth for higher-paying positions in this area will eventually cap the number of people who can afford to buy at the prices being asked. “If the housing growth is emotional and driven by interest rates, and the jobs and wages don’t keep up, it won’t last,” says Saccone. Mayfield says the market isn’t likely to tank completely, though. When stories of Buffalo’s residential real estate hysteria hit the airwaves, it’s easy to picture eager 20-somethings just bursting to dip their toes into homeownership. But it’s not just first-time buyers who are showing interest in Buffalo. The city and its amenities are becoming increasingly appealing to suburbanites approaching retirement, who are selling empty nests and competing with first-time homebuyers for affordable ownership close to the action. The Witkins are a couple in their mid-50s who recently sold their Williamsville family home of 25 years to enjoy city life. Lisa, a counselor at School 45, and Harris, an independent insurance agent, said the idea first came up around two years ago. At first the Witkins looked at condos for sale, but found them in short supply. For now, they found a roomy, new loft rental in Allentown with off-street parking, permission for their two dogs, and plenty of open space to entertain. Their plan is to rent for two years and see which of the areas of the city might be the best fit for them. While leaving neighbors they’ve had for decades felt bittersweet, especially for Lisa who grew up in Williamsville, the couple is happy about their downtown relocation and have heard from friends who are considering a move themselves.